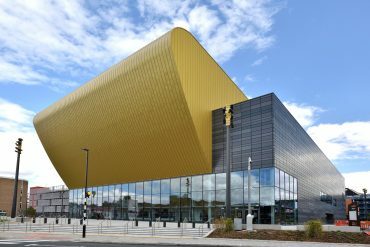 23rd August 2018 - Hull Venue Completed and open for Business! Hull Venue Completed and open for Business! We are delighted main contractors, BAM Construction selected Dortech to deign, manufacture and install glazing to Hulls new State-of-the-art music, events and conference centre. This distinctive building was designed by AFL Architects, from Manchester and incorporated over 600m2 of architectural glazing. Previous Post Site Manager by Day, Hero by Night! Next Post Dortech is delighted to announce it has now reached its 25th year of trading!